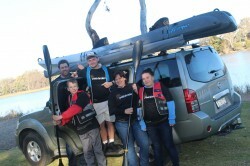 More success for Pathfinders! Pathfinders has been chosen out of thousands of applicants across the whole country to deliver a Heywire Summit idea “Raise Your Cards” which supports young people with mental illness. The grant comes through ABC and FRRR and ours is one of 15 projects that will occur across Australia. Nation-wide publicity about the successful applicants commenced today. You might have heard our Ability Links Manager, Lynn Lennon, being interviewed this morning on ABC radio. She did a fantastic job! Their videos will then be shared on the Raise Your Cards website and a newly created Inverell Raise Your Cards Facebook page. We understand the courage required to undertake this task but also the reward and therapeutic benefit story telling has for the individual and the widespread impact it can make on the lives of other young people and societal attitudes as a whole. The ‘giving something back’ aspect of the project aligns perfectly with Pathfinders Circle of Courage philosophies. 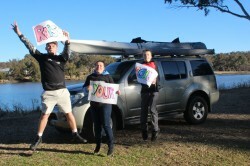 Filming sessions will occur over the next 12 months, incorporating a kayaking adventure on Lake Inverell, with the aim to create and post up to 60 Raise Your Cards clips in total. A mini-documentary is also being produced to be used for general Pathfinders’ promotion and as part of the Heywire evaluation. The high schools, more than ten local services and youth representatives will work together to implement the project by participating on the Raise Your Cards Committee.